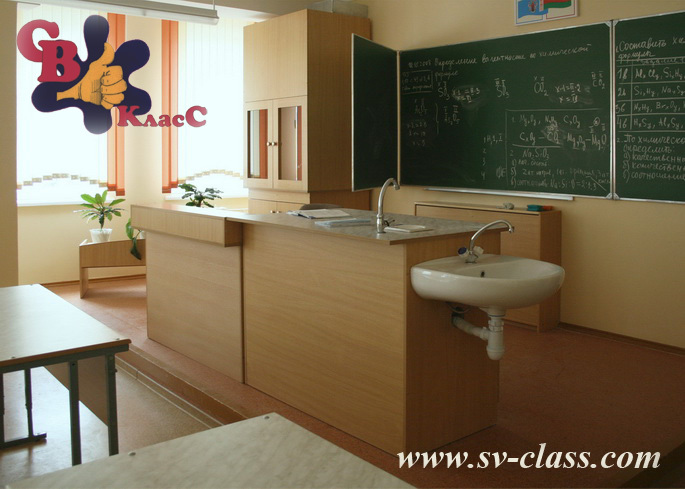 On this page there are photos of school and children furniture (including custom-designed furniture), which were made in new-built schools and in a kindergarten. 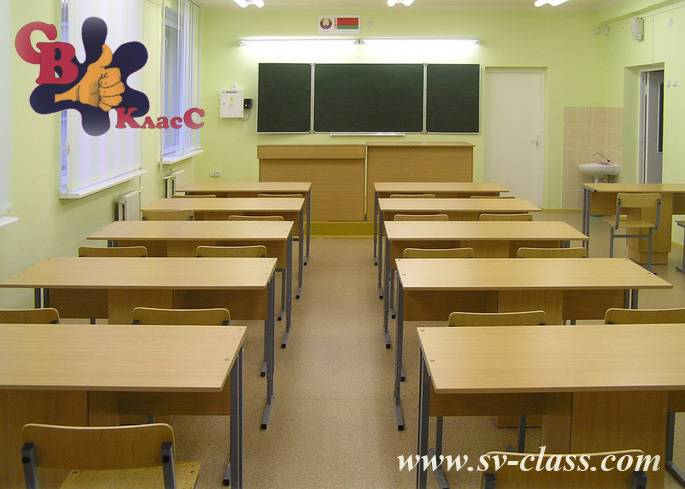 You can see furniture for education, produced by "SV CLASS", in real interiors. 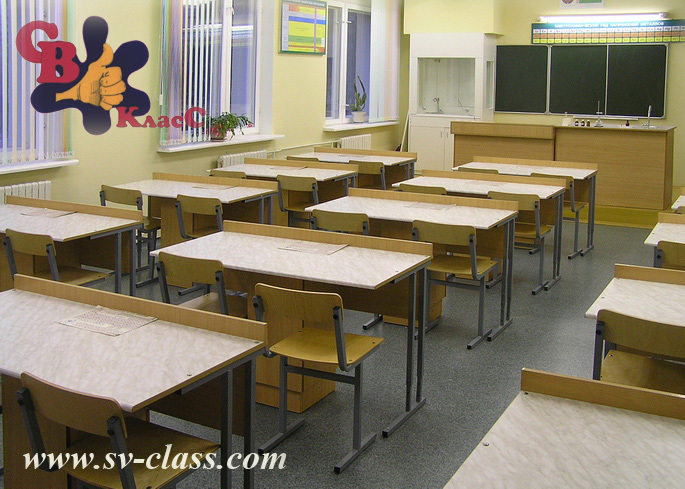 See also general information about "SV CLASS" school furniture. and a combined three-tier cabinet. 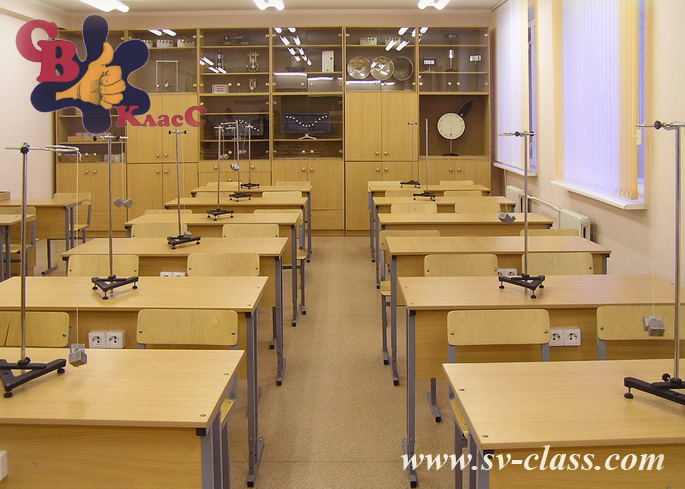 и demonstration table for a physics classroom. 3. 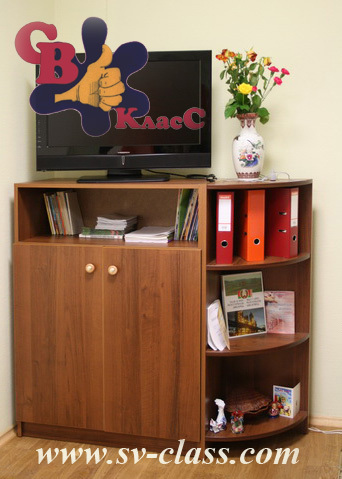 One more model of combined three-tier cabinet. 7. 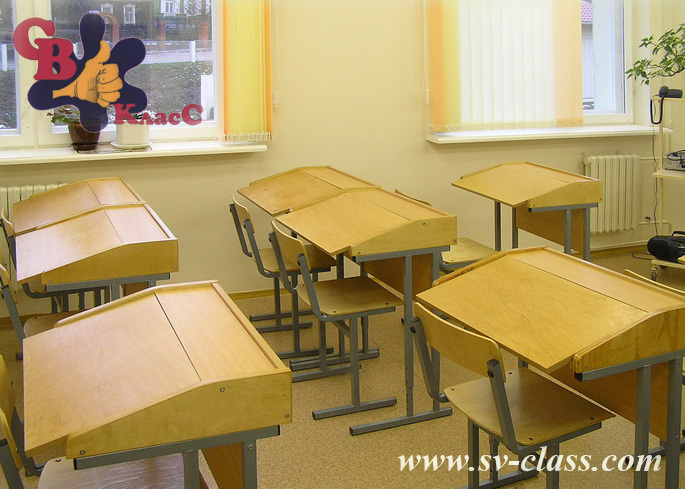 Pupil’s tables for drafting and drawing. 8. A combined two-tier cabinet (side sections are custom-designed). 9. 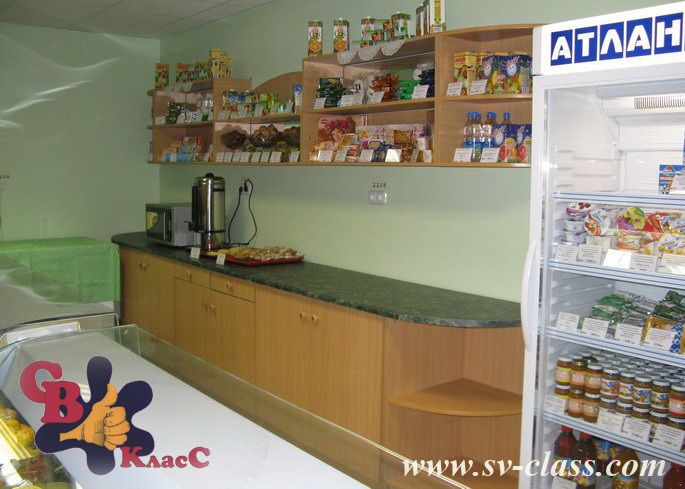 A preparatory table with a shelf can be used not only in proper purpose. 10. A two pedestal writing table. 4) a combined glazed cabinet. 12. A conference table (custom-designed). 14. 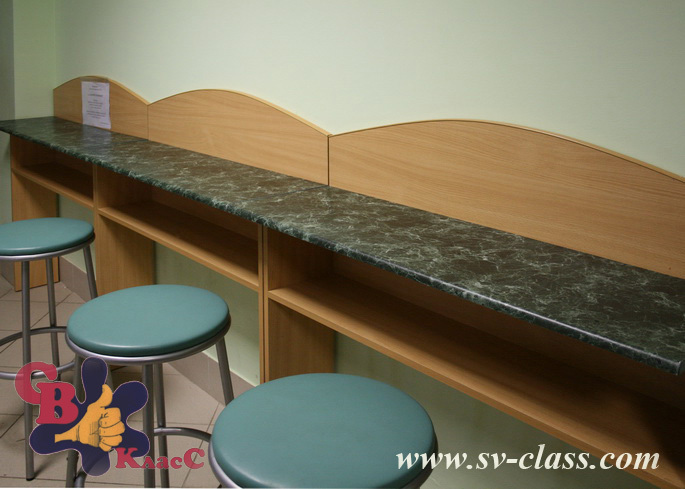 A bar in a school cafe (custom-designed). 15. A cabinet (custom-designed). 16. 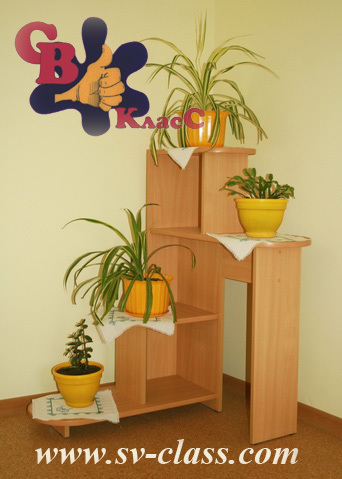 A stand for flowerpots (custom-designed). 17. Trapezium tables and wardrobes (custom-designed). 18. 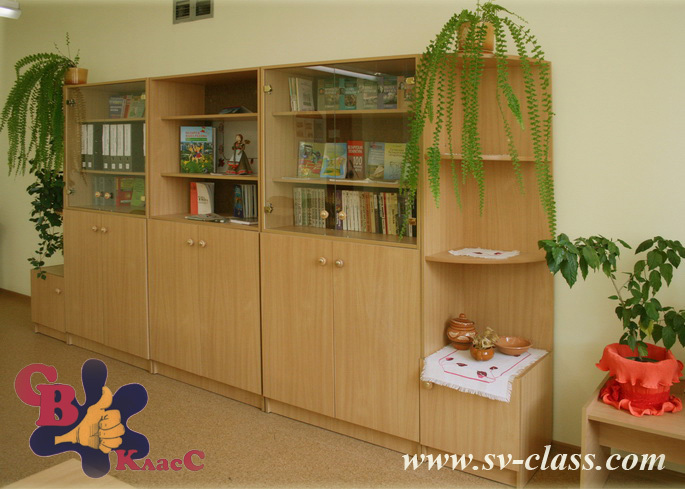 Three-tier bed-cases and shelving units for toys (custom-designed).